How can you commemorate the day? The Developmental Center for AIDS Research (D-CFAR) of the University of Rochester Medical Center will be sponsoring events with the Rochester Victory Alliance and other community groups. The day will start with a Keynote Address at URMC’s Class of ’62 Auditorium by Ashley T. Haase, M.D. titled “Lessons from the Earliest Stages of Infection in the Quest to Prevent HIV-1 Transmission to Women.” During the day will be a poster session at URMC and two candlelight vigils in the community. The 11th annual PeaceArt World AIDS Day Concert at Hochstein Performance Hall will close the day’s events. A full list of events, descriptions, and locations is listed at the URMC Newsroom. 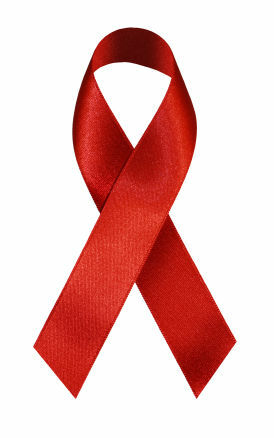 Want to discover more initiatives for HIV/AIDS treatment, prevention, and advocacy? Check out what the U.S. Government is doing, learn about Rochester’s own AIDS Care Red Scarf Project, and don’t forget to submit a photo of you wearing your red ribbon to the Facing AIDS campaign! This entry was posted in Community, UR Events and tagged #URMC, #worldaidsday. Bookmark the permalink.